Henry Holt and Co. (BYR), 9781627794206, 320pp. When Brine and Peter get themselves into a load of trouble and flee, they blunder into the path of the legendary pirate ship the Onion. Before you can say "pieces of eight," they're up to their necks in the pirates' quest to find Magical North, a place so shrouded in secrets and myth that most people don't even think it exists. If Brine is lucky, she’ll find her place in the world. And if she's unlucky, everyone on the ship will be eaten by sea monsters. It could really go either way. 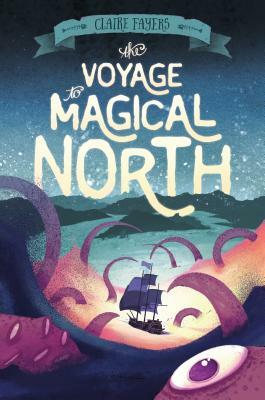 Claire Fayers is the author of The Voyage to Magical North and its sequel, The Journey to Dragon Island. She lives in South Wales with her husband and as many cats as she can get away with.